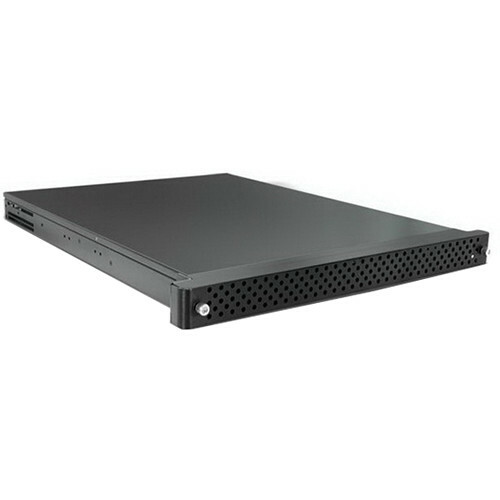 The black 1U 4-Bay SAS/SATA Multilane JBOD Chassis from iStarUSA is an external 1U 4-bay hot-swappable SAS/SATA rackmount disk array storage chassis. It provides users a storage capacity for up to 4 SATA/SAS drives for 1/0/5/JBOD RAID configuration in compact size. This 1U 4-Bay external SAS/SATA JBOD is designed with 1 high quality external multilane (SFF8470) connector. Four 40mm cooling fans provide long lasting and enhanced cooling. Box Dimensions (LxWxH) 27.0 x 22.0 x 6.0"